As many of us celebrate a Thanksgiving holiday, we look for things that we can say that we are thankful for in our lives. Each person is going to have their own list of things they are appreciative of in their lives, and for many, the fact that they are alive is likely quite high on that list. Even when people have issues that they are living with every day that affect the quality of their lives such as mobility or sensory issues or a progressive or traumatic condition that might limit their ability to experience life in the robust way that they would like, they still have life itself. They might like a life without the challenges they are facing, but they still have a life. That’s worth a lot. and now they have people like us as aging in place specialists who can help them have a higher quality of life in their homes. People are living longer today. In 1935 when President Franklin Roosevelt signed the Social Security Act that Congress had passed, the effective age to be eligible for benefits was set at 65 because the average life expectancy at that time was just under 62, with the average life expectancy for men at for men at that time being less than 60 and for women just under 64 years. Today, the life expectancy in the United States is close to 80, and there are projections that a child born today might live to be 100 or beyond. In fact, America is expecting to see some 6 million centenarians beginning in 2050, largely from the Baby Boomers who will be turning 100 at about hat time – actually starting in 2046 or so. With the population aging, housing that population could be a concern if the model was for people to give up independent living and maintaining their own households, but that is not the case for so many Americans and people in other places today. The idea that people would reach a certain age when living on their own would be impractical and that they would need to move into an assisted living facility or nursing home is being effectively challenged today by people who are living at home well beyond the traditional time when this was not the case years ago. A half-century ago, people of advancing years were generally expected to move in with family or to move into some type of congregate living or managed care facility. That model has largely changed in recent years. While people still do choose to leave the home they have occupied and move into a setting that provides for them, more people have the option of remaining at home and are being encouraged to do so. We are helping them to realize this experience as an effective option. We can evaluate a person’s home, bring in team members to help us, and improve the overall safety and comfort of a person’s home through relatively simple measures or create a more comprehensive approach to renovating their home. 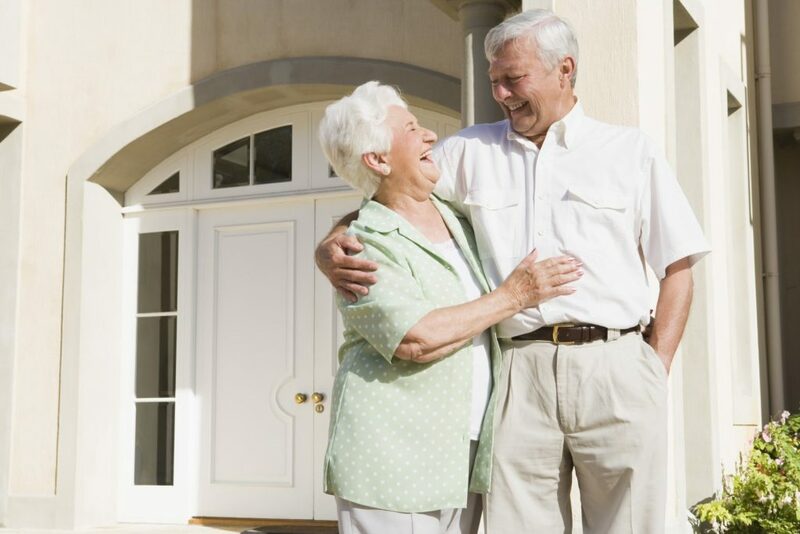 The great thing about aging in place as an option today – even for those who choose to move in with family and maintain a separate living space inside that home or elsewhere on the property – is that retailers are seriously appealing to this opportunity. The amount of product – likely fueled by the large Baby Boomer population and their desire to remain independent and living on their own indefinitely – is at an all-time high and growing constantly. There are many features in the home – cabinets, door hardware, appliances, bath fixtures, faucets, lighting fixtures, flooring, thermostats, and more – that have been designed with all ages in mind. These universally designed products allow people with weaker vision, mobility challenges, arthritis, and other conditions that affect the way they can use their home to function effectively in their homes. Whether we are installing grab bars, shower seats, roll-in showers, stair glides, vertical or inclined platform lifts, elevators, appliances with various touch controls or other operating commands, home technology systems, slide-under cabinets in the kitchen or bath, and other safety or convenience features for our clients, we are making it possible – because the manufacturers of these products are creating them – to appeal to people who want to remain viable in their homes as they age. Aging in place may have been a desire in years past, and many people were able to do this (although there was no real name or strategy for doing this), but today it is an extremely viable and highly encouraged concept for people of any age but certainly those who are approaching or reaching what is generally termed as senior citizen status. Let’s be thankful that people have this option and that we can be instrumental in helping them to achieve it.